My sweet little angel had a birthday last week. As usual, I asked her what kind of cake she wanted, and then I draw inspiration from that. She wanted a Barbie cake...again. I did that for her last year. I asked her like 20 times in a month period and it was always the same answer. See, she's the type that if it happens once like that (for anything) that's how it is going to happen every time. I know she probably could have wanted a Barbie party, but I also know how she is so I thought it would be good to give her another option. So, I finally asked her if she would rather do a princess birthday...and she said yes! Thankfully :) Oh, I know it would be have been super simple to do the same ol' thing I did last year; use all the same decor, etc. But I didn't want to tire out the guests with the same thing. Although, I'm sure they wouldn't have minded either. Actually, this was probably only a big deal to me lol. Anyway. I went a little more low key this year then last year, but I wanted to share all the decor and food we had! We had three places with food and drinks on them. The first and main one was our dining table. 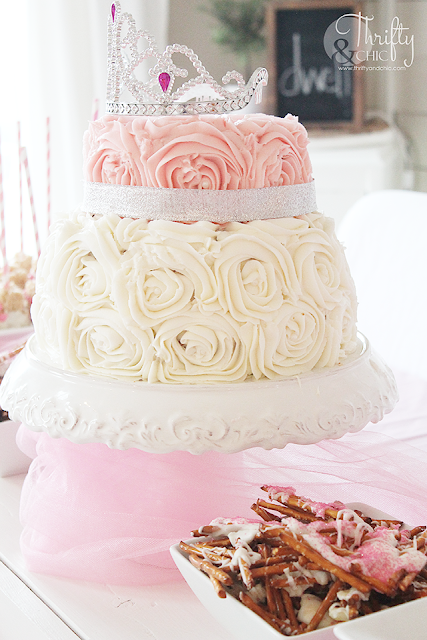 I just placed a pink table cover on it, and then some pink tulle to soften it up. On top of that was the cake and most of the yummies. I had a few ideas for this cake, but this idea ultimately one. Mainly because I knew how to do it, and it would be easy and serve a lot of people. And of course, to top it off, was a cute little tiara! 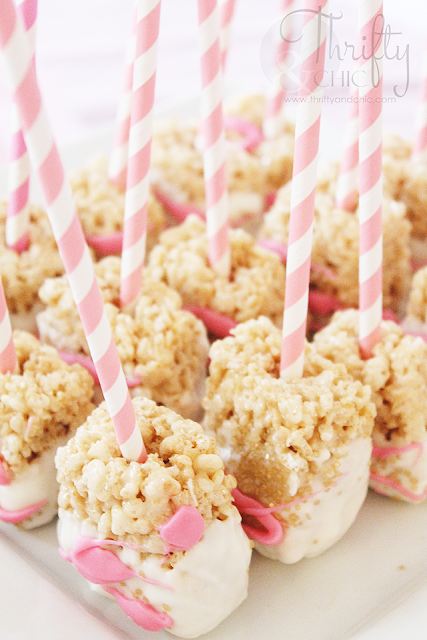 As for the rest of the sugar...umm, food...I made cute little wands using straws and rice crispy treats. You can find these straws at most stores now, thankfully. 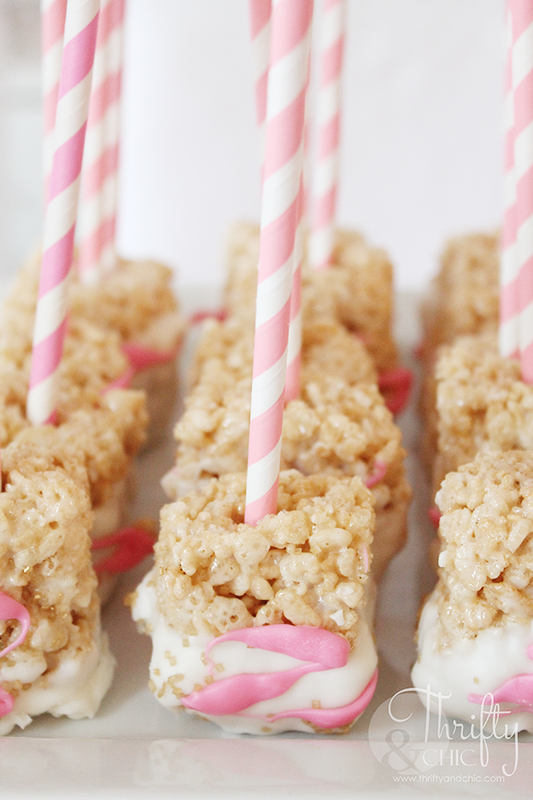 To make these, I just made the original Rice Krispies recipe. Cut them into 2 inch-ish squares then shoved the straws into them. I did have to somewhat shape them with my hands to get a good square that could stand up. 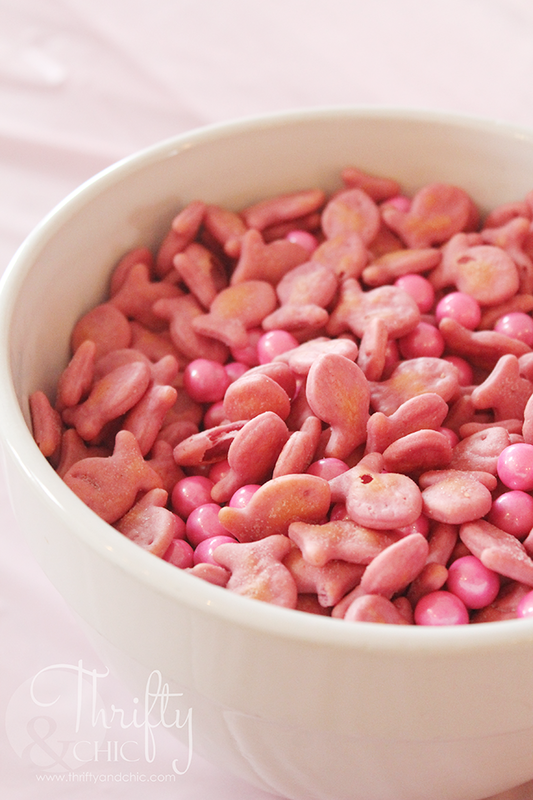 I then dipped them into white candy melt. 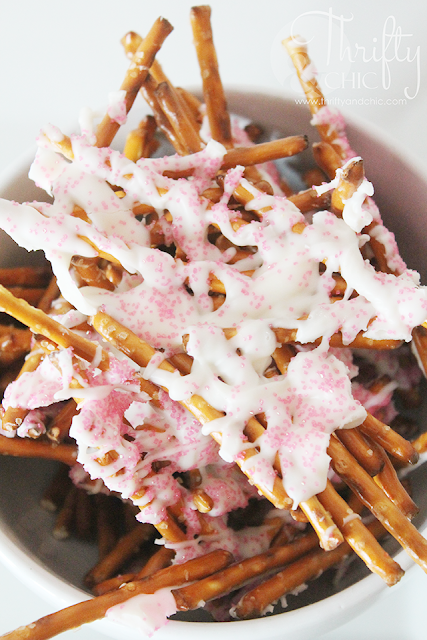 Sprinkled them with gold sprinkles and then drizzled some pink candy melt on top. I did the same idea with the pretzels. I spread them out on a baking sheet and then drizzled a lot of white candy melt all over them. I then sprinkled on some pink sprinkles. The best thing about birthdays around Valentine's Day is that there's pink candy to use! 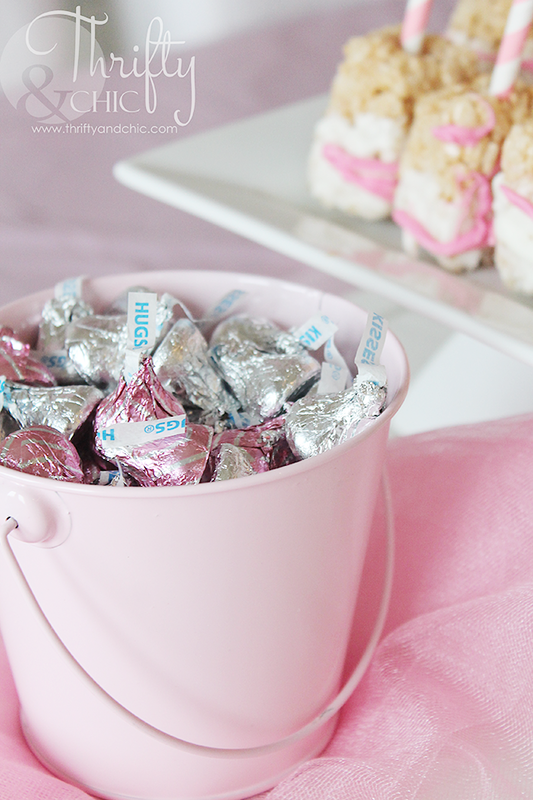 So, I used these hugs and kisses in a cute little pink bucket. 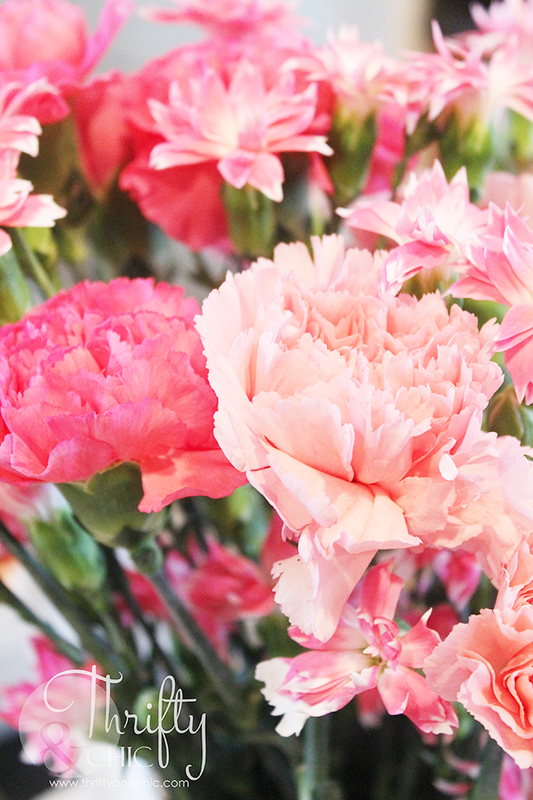 I also added pretty pink flowers around the house to tie in the theme. As for the party favors, I made these cute little mason jars with tiaras on them. 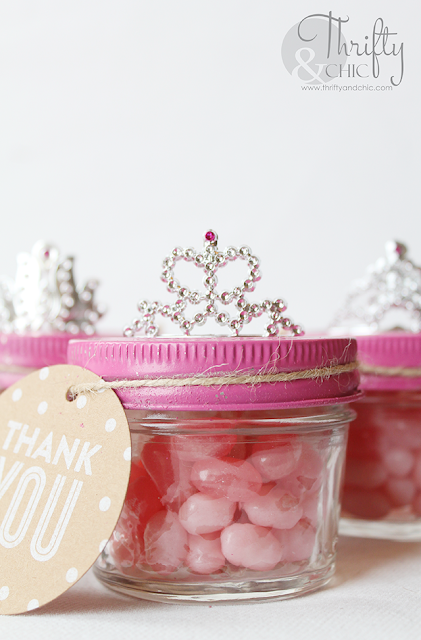 I just spray painted the lids pink and then hot glued these tiara favors I found from Zurchers onto the tops. I finished them off with a cute "Thank you" tag I found from Hobby Lobby. 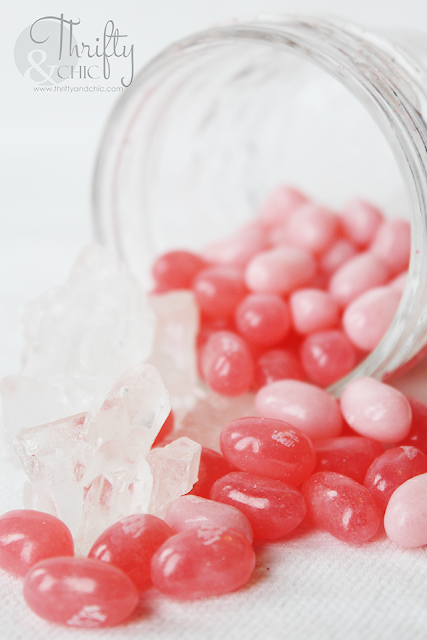 Inside of them are different pink Jelly Belly's and some rock candy. Another big hit! 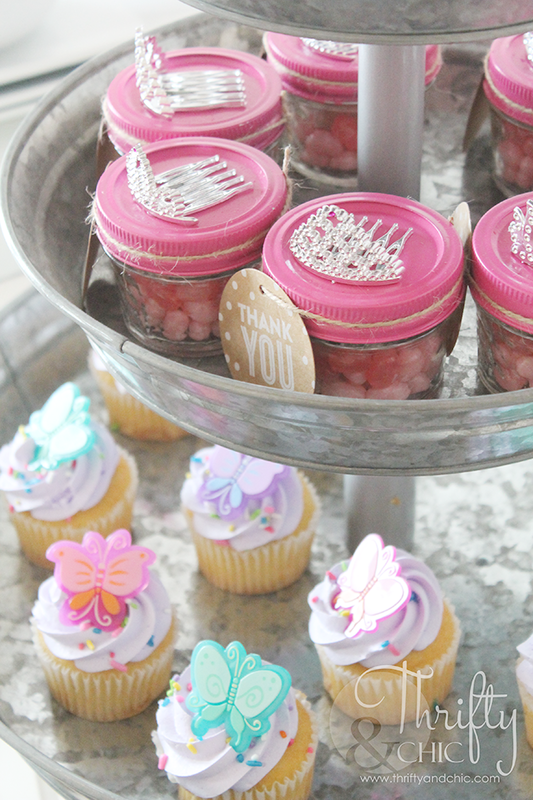 And my little one totally reminded of these at the end of the party and I totally forgot to put them out! 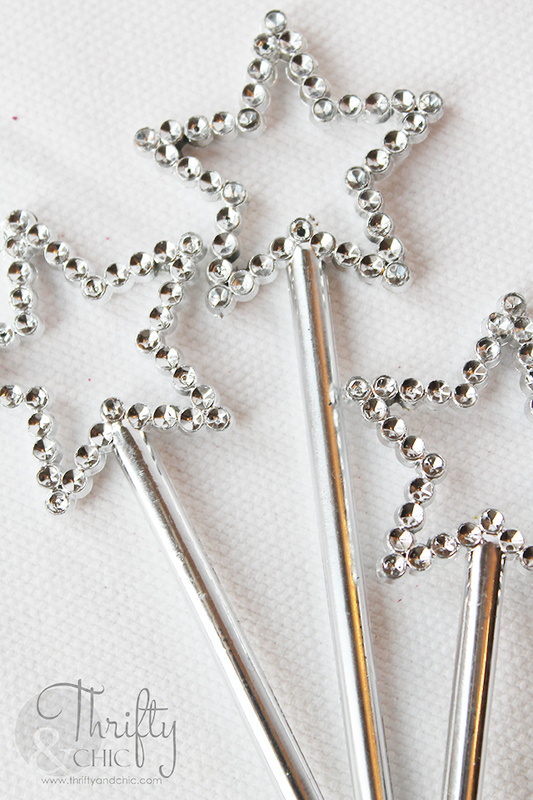 But, I was able to hand them out...just no cute display :) These cute wands are from Hobby Lobby. And I'm a total 5 sense person, so I want the smell in my house to go with the party theme. So, I used Scentsy's Pink Haze. It smells amazing! At the end of the party, I was thinking how cute it would be for all the kids to get dressed up as princesses. We have enough princess dresses here I wish I had thought of it sooner! And as a craft, I grabbed a princess crown kit from Hobby Lobby. They turned out so cute! Hope you all grabbed some inspiration from this! 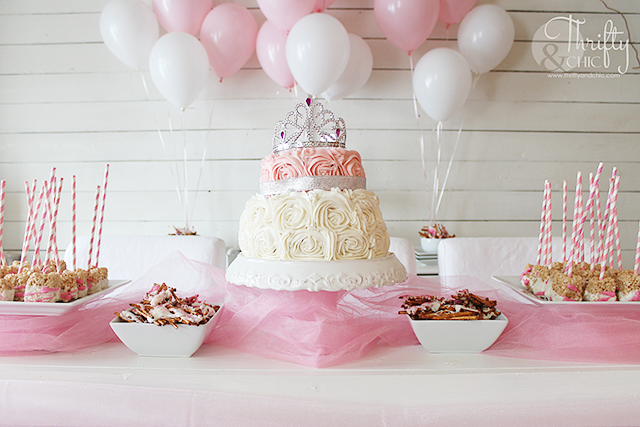 Cute parties don't have to cost a ton of money! I did all of this for under $100...and there's a lot of decor that you didn't see that's included in that! You did a great job! 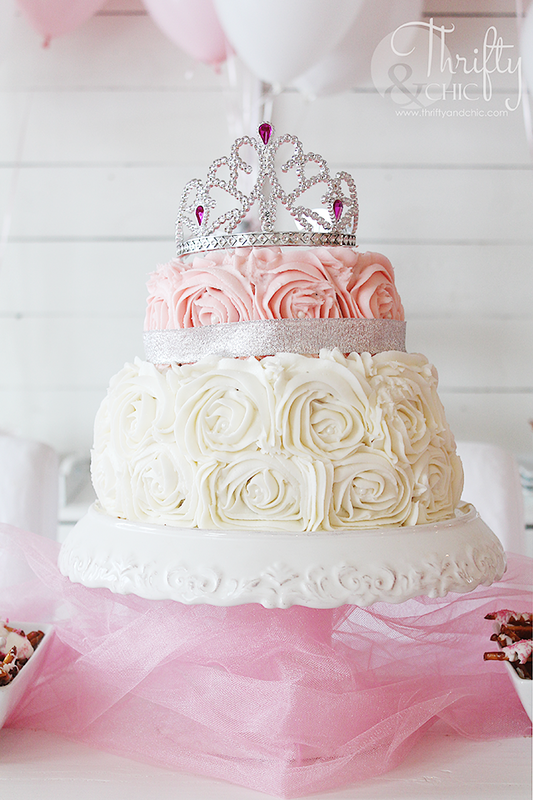 That cake is lovely - befitting a princess of any age! 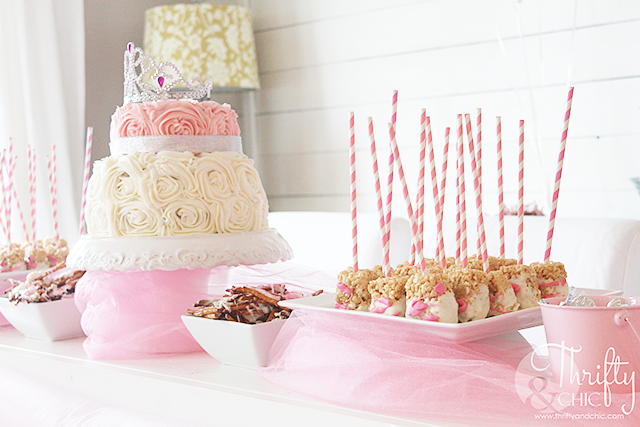 This was superb...We can follow these decorating ideas for making our near ones birthday parties more colorful and memorable. Thankful to you for sharing your experience here. Birthdays are always to be made colorful and we need to work well with this ideas over here. 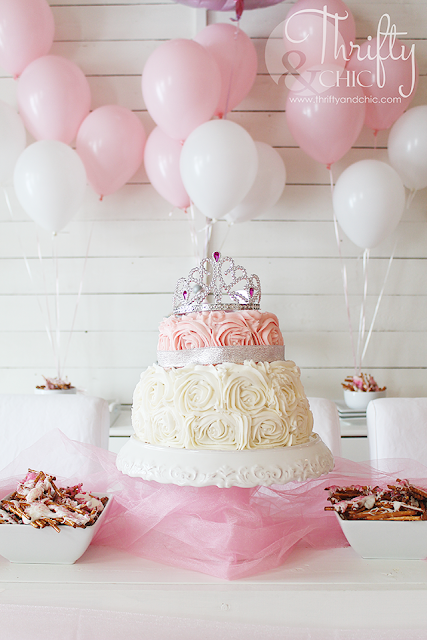 It is really superb and seems to be pretty to make birthdays special. Great idea! I can’t wait to try this!